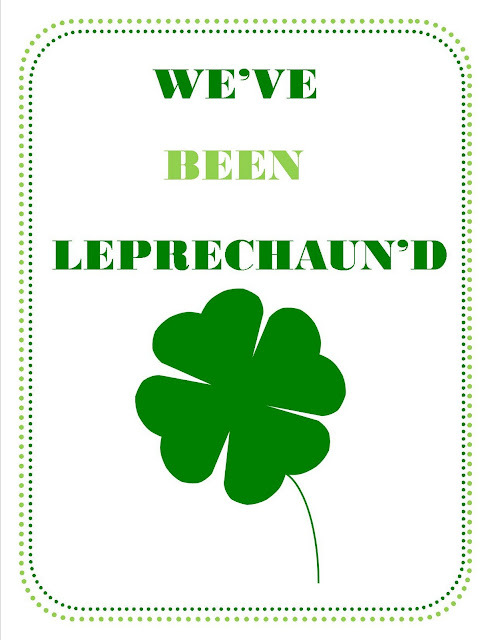 We've been having some St. Patrick's Day fun at our house!!! 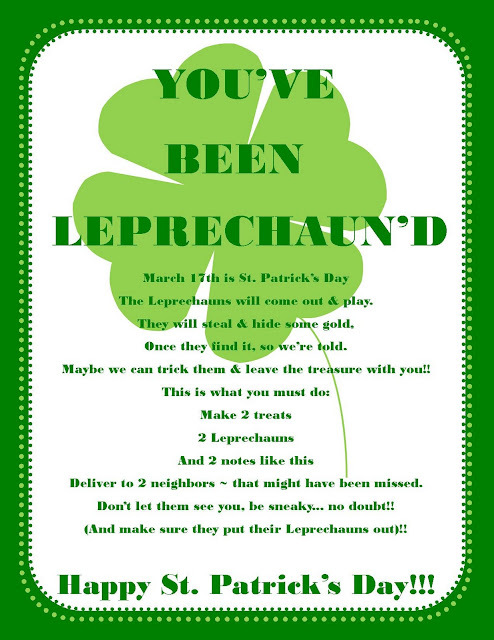 printable ~ You've been Leprechaun'd ~ sign and instruction sheet!!! If you've never been Leprechaun'd, you must play this fun game to get everyone in your neighborhood excited for St. Patrick's Day!! You may have played similar games like this for different holidays ~ Halloween is a big time to play this game!! Just follow the instructions & Have A Ton Of Fun!!! You can Download Yours Here!!! Have Fun Leprechauning your neighbors & friends!!! I would LOVE to hear if you use these & what you and your neighbors gave as treats!! This will be a lot of fun to do this year!